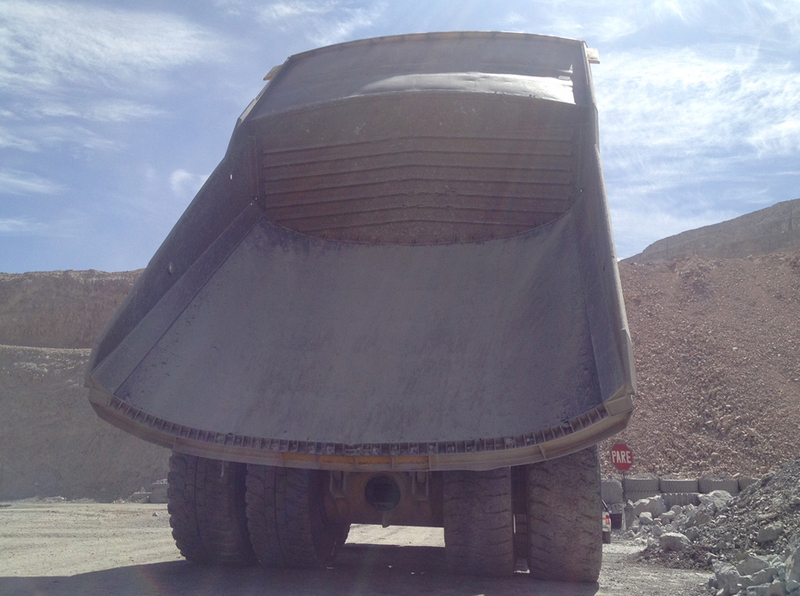 Rubber-Lined Haul Trucks Have Zero Box Maintenance After 5 Years! Falkville, AL- A fleet of Haul Trucks owned by a Peruvian mine operation had high maintenance due to steel lining fractures, which in turn decreased the availability of their equipment. The truck beds had a lower life expectancy due to the issues caused by the steel, and site personnel experienced poor working conditions. 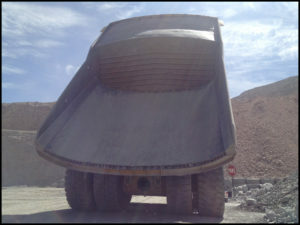 (Photo) Komatsu 930 Haul Truck, five years of using rubber liners and still in service. • Steel lining will be installed and changed more than 3 times. • The truck box will be repaired completely more than 3.5 times. 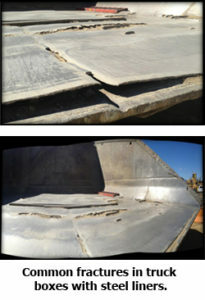 • There will be ongoing maintenance on the liners in the box and the chassis of the truck due to impact and wear. Starting in 2012, Valley Rubber began to install 6” thick rubber liners in Komatsu 830 and 930 Haul Trucks with the intention of extending the useful life of the truck box to five years without performing maintenance or repairs, except the monthly routine inspections and the rotation of the central pieces of the lining every three years. The addition of the rubber liners did not affect the load factor. • Increased reliability of the equipment. • Decreased cost for truck box maintenance. • Increased the useful life of the asset. • No plate stress and steel fracture. Because rubber has the ability to absorb 400% more impact force than steel, the whiplash effect on the operator’s body was considerably reduced, as well as the noise inside of the main cabin. More productive work hours resulted from these positive benefits. 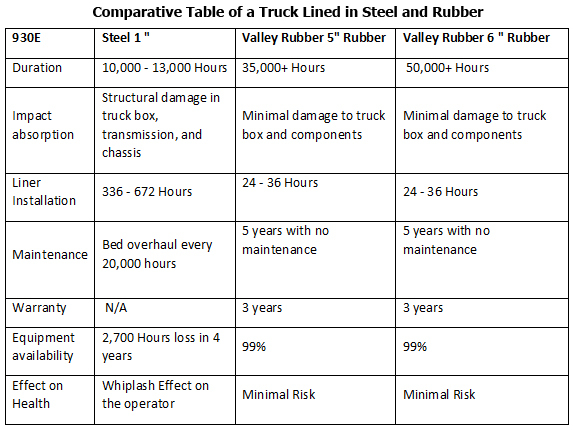 It is evident that rubber-lined trucks in this operation had superior performance when compared with steel-lined trucks. The trucks that were first lined in 2012 have hauled as many as 10,898,400 tons…all with zero box maintenance!